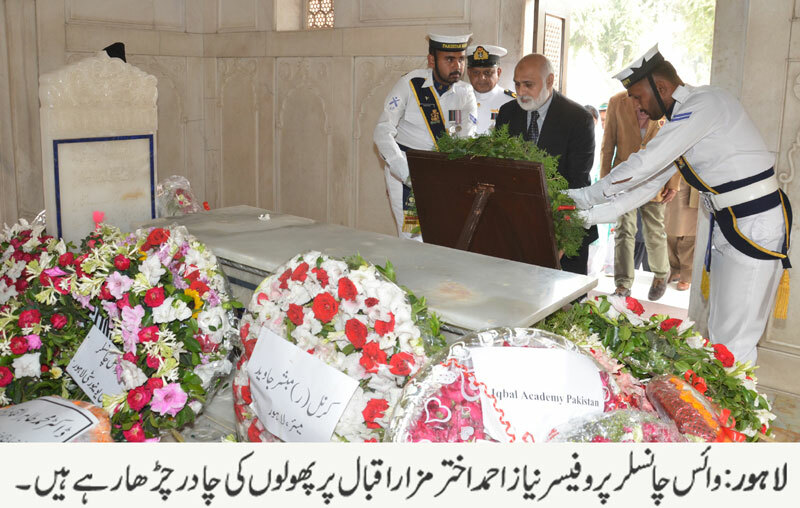 LAHORE: (Friday, November 9, 2018): A delegation of Punjab University under the leadership of Vice Chancellor Prof Niaz Ahmad Akhter visited mausoleum of Allama Iqbal and laid floral wreath and offered Fateha for the departed soul. In his message, Prof Niaz said that the message of today was that we should follow the teachings of the great philosopher and Allama Iqbal’s contributions to the country and the nation would be always remembered. 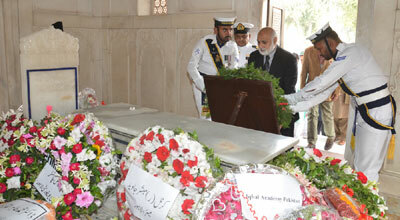 He also paid tribute to Pakistan Navy, Rangers and defense forces.